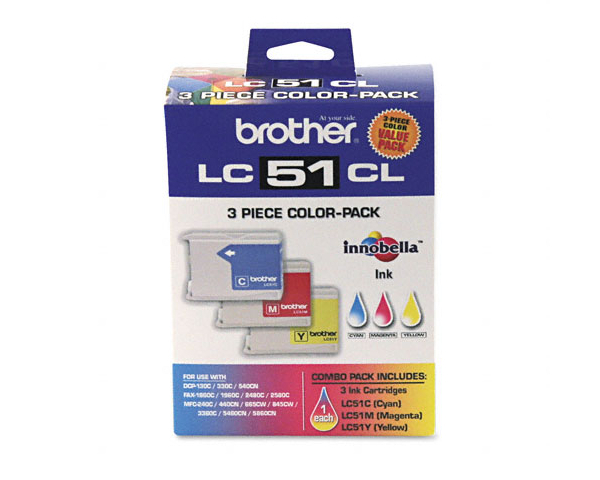 This amazing multifunctional center can literally do anything you could ever ask for in a personal color inkjet, and then some. With print speeds of 27 pages per minute in black and white and 22 pages per minute in color, users will have no problem printing large projects quickly and easily. The unit comes complete with a standard high speed USB 2.0 interface, but it also includes a fully functional wireless interface that allows an entire household or small office to connect without the use of Ethernet cords. As a photo printer, the Brother MFC-845cw truly shines due to its exceptional print resolution and easy to use operation. With borderless printing, users can produce lab quality photos right from home thanks to color print quality that is selectable all the way up to 6000 x 1200 dots per inch in resolution, while a droplet size of 1.5 picoliters ensures the greatest in print accuracy and detailing. An interesting feature that Brother includes with the unit is its 5.8 Ghz digital wireless handset which is expandable up to a total of 4 handsets, meaning that this unit can serve as a fully functional answering machine and digital phone center for the home. Up to 29 minutes of recording can be stored digitally, and all the included fax machine functions, such as a digital phonebook, can be shared with the telephone. There is literally not a feature you will not find on this compact unit, and that includes a fully operational automatic document feeder. Though it only holds 10 pages, it is still very helpful when dealing with multiple pages of input for faxing, copying, or scanning. Paper storage capacity is also small, but sufficient, and features a 100 sheet standard paper tray and a 20 sheet 4 x 6 photo tray. With a 4 x 6 photo tray, even glossy photo paper can be loaded into the device and printed in multiples, all while not having to unload standard paper supplies. Copy and scan functions are apparent in this versatile device, and the optical scan resolution it can operate at is an impressive 600 x 2400 dots per inch with a true 36 bit color scan depth. Copying is made possible either through the automatic document feeder or the handy flip up flatbed top, which allows users to also copy three dimensional objects such as books or magazines. 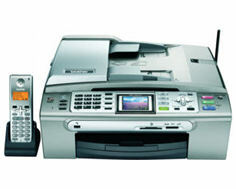 The MFC-845cw: it’s the printer that can literally do anything. The only downside to this printer is that users may find themselves literally falling dangerously in love with it. 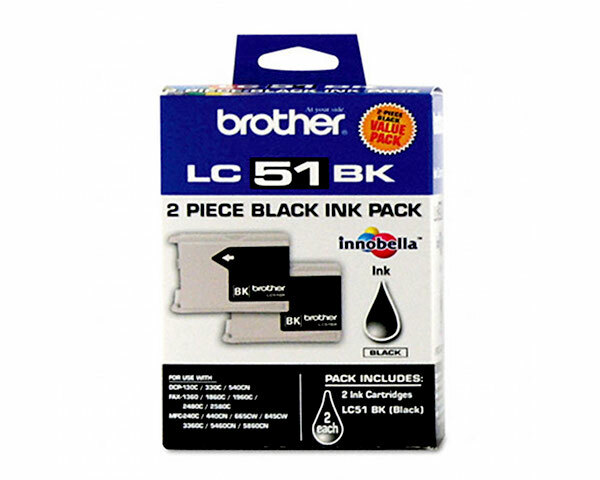 Review it: "Brother MFC-845CW "
Unlike laser printers which rely on solid toner to produce monochrome and color, inkjets such as the Brother MFC-845cw use liquid ink cartridges. 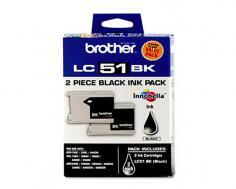 These cartridges are very inexpensive in comparison, but offer around a fifth of the page yield. In this case, four cartridges are used to create brilliant composite color. The black cartridge for the MFC carries a 500 page yield at 5% coverage, while cyan, magenta, and yellow cartridges carry 400 pages of yield each.